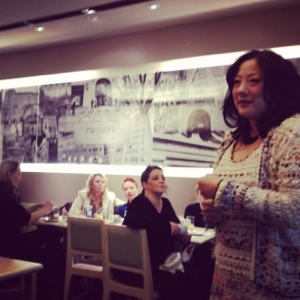 This morning we held our Training/ Launch Breakfast for the Beauty Associates of Bergdorf Goodman. Everyone was thrilled to learn more about the story especially from our Founder/CEO (they also loved her Oscar de la Renta outfit! He was a former client of her consulting company, The Pao Principle). We are very excited for our new friends at Bergdorf Goodman!